The pioneering new microwave therapy system, with treatment times in seconds, SWIFT provides a precise and easy way of treating verruca lesions. With over 16,000 treatments completed to date, SWIFT is one of the fastest growing treatments in UK Podiatry. Briggate Medical and Emblation Limited are excited to introduce SWIFT Microwave Therapy to the Australian and New Zealand Podiatry profession in 2018. 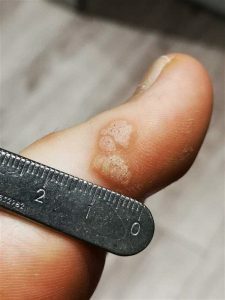 Swift is a new technology, developed in the UK, which has been licenced for the general treatment of skin lesions in Podiatry and Dermatology. 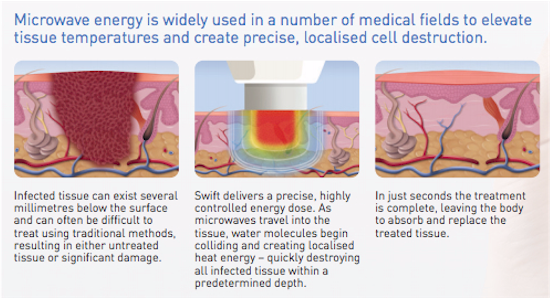 Swift uses microwave energy which is delivered through a special probe applied to the skin to treat the affected tissue. 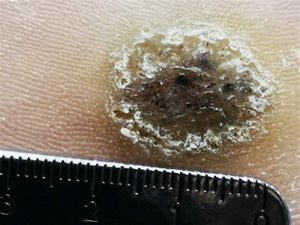 Like many treatments for skin lesions, some minor discomfort may be experienced. 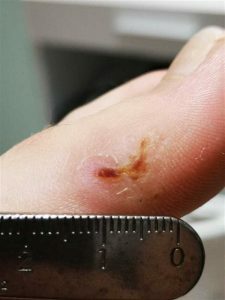 Before treatment your podiatrist may decide to reduce the lesion with a blade. Pain levels vary from person to person but most people undergoing Swift liken it to a pain similar to an injection or a scratch, lasting 2 – 3 seconds then quickly subsiding. This is dependent on how you respond to treatment. In most cases you will need more than one treatment (these are usually a month apart depending on the response) and average 2-3 treatments. 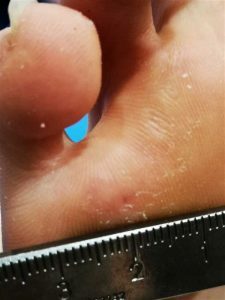 Your Podiatrist or will be able to discuss this with you. Can anyone receive this treatment? 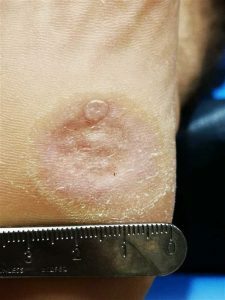 With a few exceptions, most people with skin lesions would be able to have this treatment. Your Podiatrist will carry out an assessment prior to treatment and be able to advise you on this. 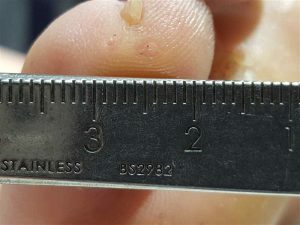 It is not suitable if you have metal implants in your foot. SWIFT microwaves will penetrate to a predetermined depth with no lateral splay of energy. They don’t break the surface of the skin and destroy tissue from the point of application – like cryotherapy, salicylic acid or laser ablation. As soon as the treatment begins, microwaves are working within that defined field, and no deeper. Microwaves have been in clinical use for over 30 years, and are used globally in the effective treatment of cancer. One of the first published papers on the use of microwaves in medicine was in 1986 – where researchers from Japan described a method of treating liver tumours. Those techniques have advanced significantly since then, and Emblation – the company behind Swift, is a key technology supplier to the largest medical device company in the world operating in this space. The same fundamental technology that powers Swift, is also being used in the treatment of lung, liver, kidney and breast cancer in countries all over the world. Microwaves are a form of non-ionising radiation, which means that they can’t cause damage to the DNA of living things. Microwaves sit between radio waves and infrared waves (at any frequency between 300MHz and 300GHz – Swift itself operates at 8GHz) in the electromagnetic spectrum. The Swift system delivers very low energy levels when compared with other electromagnetic energy forms. The Swift microwave treatment is only capable of supplying enough energy to agitate water molecules and cause friction, as opposed to damaging DNA, and deliver less energy into the skin than most laser and electrocautery treatments. Aside from the kitchen appliance, microwaves are used in a number of everyday applications. Standard wifi uses microwaves, mobile phones, bluetooth, and cordless phones all use microwaves to send data over short distances. Furthermore, most satellite communications systems (including GPS navigation systems) are also based on the use of microwaves – we interact with microwaves in more ways than we know, every day. This case was over 4 months with a very happy customer at the end.